To compare the safety of a new type of kretek cigarette (Indonesian style cigarette made with cloves and tobacco) against conventional cigarettes. 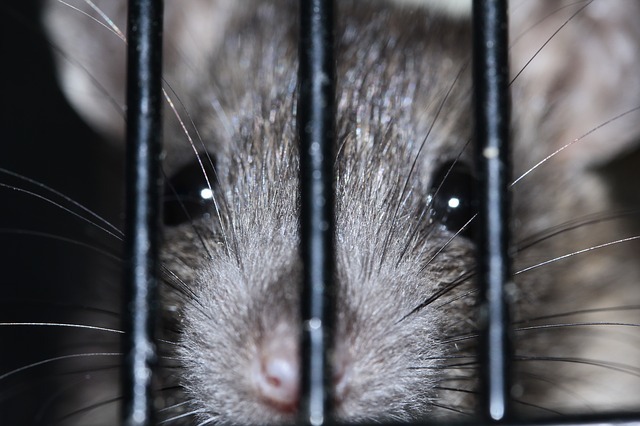 560 rats were restrained inside tubes and forced to breathe in different concentrations of cigarette smoke for six hours every day for 90 days. Animals experienced reduced body weight and signs of inflammation and precancerous changes in their nose and lungs. At the end of the experiment, all of the animals were killed and their lungs were dissected for analysis. We do not need animal tests to tell us that smoking (of any kind) is harmful. We do not need new brands of cigarette. Animal studies of smoking effects are notoriously unreliable. Conducted by Philip Morris Research Laboratories at their laboratories in Leuven, Belgium. Toxicological assessment of kretek cigarettes part 3: Kretek and American-blended cigarettes, inhalation toxicity. (2014). Regulatory Toxicology and Pharmacology, 70: S26-S40. To create an animal "model" of ageing. Tests were done to show that ageing lemurs behave similarly to aging humans. 41 mouse lemurs (small monkeys) of varying age groups (young adults, middle-aged adults and elderly animals) were subjected to a series of behavioural tests every day for eight weeks. The monkeys' memory, physical strength and anxiety levels were assessed while they were forced to perform various behaviour tests. One of the tests involved forcing them to hang onto a smooth cylinder until they tired and fell off, another involved forcing them to run on a treadmill that increased in speed until they fell off. The tests demonstrated what we already know in humans - that some individuals lose their mental and physical strength as they age. The aim of this project is geared towards – one day-testing possible treatments for aging on these lemurs. Tests on animals, even nonhuman primates like lemurs are unlikely, despite superficial similarities, to predict accurately whether drugs will work, particularly drugs designed to treat cognitive diseases. It is not clear if society even wants a drug for ageing. Centre National de la Recherche Scientifique, Muséum National d'Histoire Naturelle France, Brunoy, France. Funded by the European Commission’s Framework 7 and Innovative Medicine Initiative project "Pharma-Cog" with support of Eli Lilly and GlaxoSmithKline in the UK. Deficits of psychomotor and mnesic functions across aging in mouse lemur primates. (2015). Frontiers in Behavioural Neuroscience, 8: 446. To characterise the effects on brain cells in new born rats caused by exposure to alcohol. New-born rats were separated from their mothers and placed inside chambers where they were forced to breathe in vaporised alcohol three hours a day for three months. Some of the rats were anesthetised and injected with chemicals directly into their brains before being killed four days later. The other rats were also killed and their brains dissected. The effects of alcohol on the developing fetus are well characterised, well known (fetal alcohol syndrome) and it is already recommended that mothers do not drink when pregnant. This study adds little to the already vast evidence base and is flawed by its peculiar methodology. Species differences between rats and humans means that newborn rats are at the same developmental stage as human babies still in the womb. This means that the study suffered from obvious flaws by having to directly, artificially expose new born rats to alcohol in a way that human babies never would be. Department of Psychology, Catholic University, Milan, Italy. Reduced density of dendritic spines in pyramidal neurons of rats exposed to alcohol during early postnatal life. (2015). International Journal of Developmental Science, 41: 74-79. To find out if early-life stress leads to a greater risk of gum disease. New-born rats were taken away from their mothers and left alone in cages for three hours every day for two weeks. When the rats were 13-weeks old, their anxiety levels were measured on a high, open platform. One week later, they were sedated and a thread was tied around one of their molars to induce gum disease. Three weeks later all of the animals were then decapitated and their teeth examined. Numerous other animal tests have shown a link between early-life stress and increased susceptibility to disease. The relationship between early life stress and gum disease could be examined by human surveys if necessary. Faculty of Dentistry, University of Oslo, Norway, supported by the Norwegian Defence Research Establishment. Maternal deprivation of lewis rat pups increases the severity of experimental periodontitis in adulthood. (2015). The Open Dentistry Journal, 9: 65-78. To investigate the long-term effects of nicotine exposure on the brain. 30 rats were studied for nine months. They were injected with nicotine 15 times over a three-week period. After a seven-month period of not receiving any nicotine, the rats were injected with nicotine again every day for one week. The animals were subjected to weekly behaviour tests in which their movements were monitored while they were put inside a box for 30 minutes. All of the animals were killed and their brains dissected at the end of the experiment. The long term effects of nicotine are well known in humans and also heavily studied in previous animal tests. The Sahlgrenska Academy at University of Gothenburg, Sweden, supported by Swedish Medical Research Council and governmental support under the LUA/ ALF agreement, the Swedish Brain Foundation, BrorGadelius Minnesfond, Wilhelm och Martina Lundgrens vetenskapsfond and Magnus Bergvall’s Foundation. Nicotine produces chronic behavioural sensitisation with changes in accumbal neurotransmission and increased sensitivity to re-exposure. (2015). Addiction Biology, doi: 10.1111/adb.12219. To study the effect of "binge-drinking" on impulsivity in young adults. Groups of 24 adolescent mice were injected with alcohol directly into their abdomens on four separate occasions for two days (to mimic binge-drinking on weekends) before being food restricted to reduce their weight by 85%. The mice were then subjected to behavioural tests, including a "mouse gambling task", for milk drop rewards to see if these periods of binge drinking had made them more impulsive. To try to mimic the complex social and physiological causes and effects of alcohol addiction in humans by using mice in highly artificial, simplistic studies is both naive and pointless. School of Psychology, University of Sussex, Brighton supported by European Commission InterReg project "AlcoBinge." Repeated ethanol exposure during early and late adolescence: double dissociation of effects on waiting and choice impulsivity. (2014). Alcoholism: Clinical and Experimental Research, 38(10): 2579-2589. Rats were forced to run on special motorised treadmills that delivered small electric shocks whenever they tried to stop and rest. The rats had to keep running, while the speed and gradient of the treadmill was increased, until they reached exhaustion. After four weeks of intense exercise, the rats were left for four weeks before being forced back onto the treadmill. Some of the animals were subjected to twice daily injections directly into their abdomens. Some animals were also sedated for heart monitoring experiments before being killed and dissected. The effects of training on the heart and muscles are well known. It is well known that the positive effects of training diminish during a period of no training. To subject animals to stressful procedures to study the effects of exercise is not justifiable. Parts of the study could have been done using human volunteers. Research Institute for Sport and Exercise Sciences, Liverpool John Moores University, supported by the British Heart Foundation and various European Commission Framework 7 projects. Cardiac adaptions from 4 weeks of intensity-controlled vigorous exercise are lost after a similar period of detraining. (2015). Physiological Reports, 3(2): e12302.